Univision Raised $15.5 Million for Children with Disabilities | Broadcast Public Service: Local Stations. Big Impact. 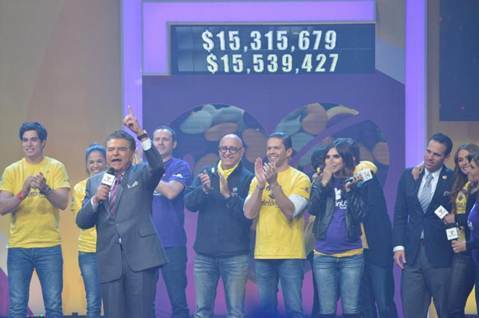 Univision’s “TeletonUSA” raised $15.5 million as more than 100 artists and the Hispanic community to come together for children with neuromusculoskeletal disabilities, cancer and autism. The telethon, held Dec. 12-13 with the theme “Corazones con Gente,” or Hearts for People, started in Miami but included live feeds in Chicago, Los Angeles, New York and San Antonio. Funds will help more than 600 children from 38 states.